We're preying on your good intentions." 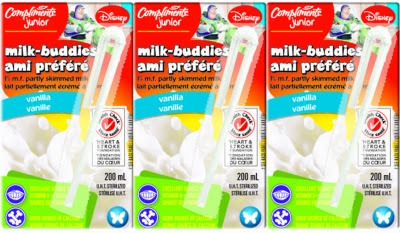 First up, we've got the Heart and Stroke Foundation teaming up with Buzz Lightyear to entice your children to have Milk Buddies. It's a sugar sweetened milk beverage whose second ingredient is sugar. In fact, it's got 22 grams of sugar per serving along with 140 calories. That's 5.5 teaspoons of sugar and 140 Calories for 200mls. Drop per drop that's the same amount of sugar found in Coca Cola and almost double Coke's Calories. Super Healthy! 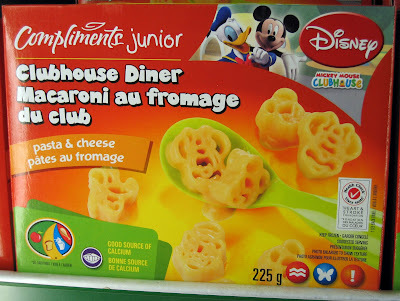 Next up is Clubhouse Diner - pasta and cheese. Here we've got the Heart and Stroke Foundation teaming up with Mickey Mouse and Donald Duck. The front of the box screams out, "Good Source of Calcium", but leaves out "even better source of metabolic syndrome inducing refined white flour" and, "a fantastic source of sodium", as this white flour based pasta dish provides your kids a mind-numbing 850mg of Heart and Stroke Foundation endorsed sodium per serving. That's more than three quarters of the sodium the Heart and Stroke Foundation wants your kids to eat in a day. Yay?! 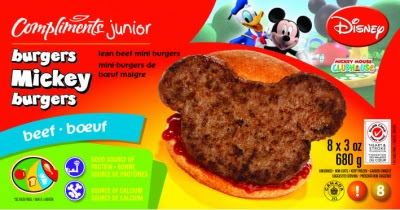 Next we've got Mickey Burgers. "Good source of protein which helps build and repair body tissues. Source of calcium to help build strong bones." Good source of Calcium? How about good source of colon cancer? Yummy. 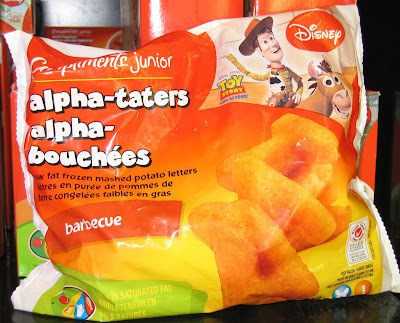 Yes, the Heart and Stroke Foundation and Toy Story's Woody are indeed encouraging your children to consume Tater-Tots. Yes they have fewer Calories than real tater tots, yes they contain less sodium, but does that mean that they're healthy? They're still processed potatoes with as noted before, potatoes being a food that increases the risk of diabetes development due in part to the body's almost instantaneous conversion of potato starch to sugar. 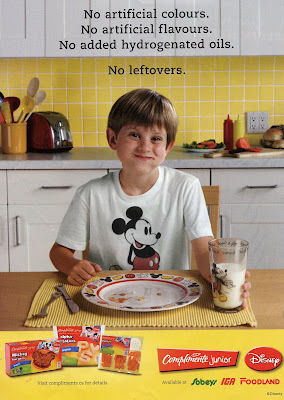 So to summarize, using the much maligned practice of using cartoon characters to market unhealthy foods to children the Heart and Stroke Foundation and Disney are marketing sugar sweetened drinks that have more Calories than sugared soda, wallops of sodium, refined white flour, burgers and tater-tots as healthy. Kind of telling to me that this partnership was featured in Kids Screen Magazine where Kid Screen is an actual organization dedicated to teaching marketers how to target children through advertisements. Gee thanks Heart and Stroke Foundation Health Check, you guys are a phenomenal help. Are you a Grease Blotter?